New York University Press, 9781479895939, 320pp. Since the dawn of Hip Hop graffiti writing on the streets of Philadelphia and New York City in the late 1960s, writers have anonymously inscribed their tag names on trains, buildings, and bridges. Passersby are left to imagine who the author might be, and, despite the artists' anonymity, graffiti subculture is seen as a "boys club," where the presence of the graffiti girl is almost unimaginable. In Graffiti Grrlz, Jessica Nydia Pab n-Col n interrupts this stereotype and introduces us to the world of women graffiti artists. Drawing on the lives of over 100 women in 23 countries, Pab n-Col n argues that graffiti art is an unrecognized but crucial space for the performance of feminism. She demonstrates how it builds communities of artists, reconceptualizes the Hip Hop masculinity of these spaces, and rejects notions of "girl power." 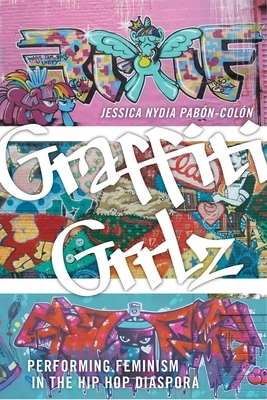 Graffiti Grrlz also unpacks the digital side of Hip Hop graffiti subculture and considers how it widens the presence of the woman graffiti artist and broadens her networks, which leads to the formation of all-girl graffiti crews or the organization of all-girl painting sessions.